Dyeing your hair is a big commitment. Once you dye your hair, it is stuck that way. Because making such a big, irreversible change can be anxiety-inducing, many people opt for a semi-permanent hair dye instead. Semi-permanent hair dye gives you the opportunity to try a shade out before making the final leap. Plus, it is also perfect for special occasions that call for a change of hair color, such as a concert. However, not all semi-permanent hair dyes are the same. To help you make the best choice, we reviewed tons of semi-permanent hair dyes to find the best of the best. We took into account shade quality, ease of use, duration, gentleness, customer reviews, and safety when ranking all products. For vibrant and long-lasting color, choose Punky Semi-Permanent Conditioning Hair Color. 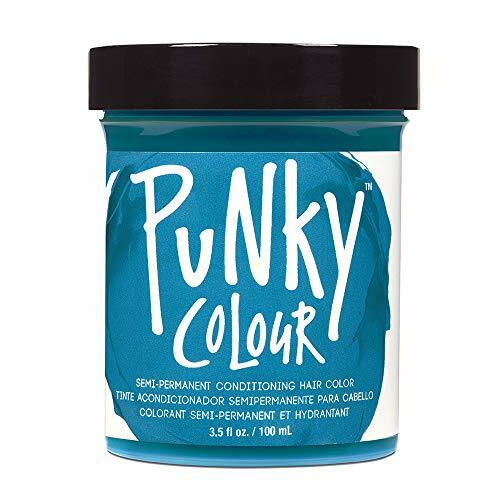 After taking all features into account, Punky Semi-Permanent Conditioning Hair Color quickly came to the top as the best semi-permanent hair dye available. It produces a vibrant, long-lasting color while also conditioning your hair. Plus, it is easy to use and free of dangerous chemicals. If you’re looking for a hair dye that checks all the boxes, Punky Semi-Permanent Conditioning Hair Color is the way to go. It produces vibrant, lively color by using a natural, vegan ingredient called keratin. This ingredient adds a vibrant depth to color that is not accomplished by most other brands. For brighter hair, this semi-permanent hair dye can’t be beaten. It is also long-lasting and can withstand over 25 washes, making it the perfect option for those that just want to try something new. Despite its vibrant colors and long-lasting ability, this hair dye does not rely on harmful chemicals or harsh ingredients. It is free of PPD’s, paraben, ammonia, and GMOs. Plus, it is also vegan and cruelty-free, so you can feel good about buying it. Unlike many other semi-permanent hair dyes, Punky Semi-Permanent Conditioning Hair Color was created with your hair’s health in mind. Instead of stripping your hair, it actually conditions your hair while you use it, leaving your hair silky and healthy. You can even use it multiple times over a few months without overly damaging your hair. On top of that, it is very easy to use. All you have to do is apply the mixture with a comb or your gloved hands and let it sit for 15 to 30 minutes. Once you’re done, rinse your hair, and you’re good to go. For a salon-quality hair dye at home, this is the dye to get. If you want a truly salon-experience at home, Clairol Natural Instincts Semi-Permanent Hair Color Kit is your best option. This hair dye does not penetrate your hair shaft and instead coats your hair in color, making it only semi-permanent. However, it does last longer than most formulas – up to 28 washes in fact. With over a month of duration, this hair color is a wonderful option for those who want to try out a new look or who are changing their hair for a special event. Like our top pick, this formula also does not damage the hair surface during the dying process. Instead, it contains keratin, which protects the hair while it is being dyed, and coconut oil to condition your hair. The formula is also ammonia free and does not contain other harsh chemicals. This formula is also extremely easy to use. It is specially designed to be drip-free, preventing a mess and ensuring that the mixture stays on your hair while in use. It takes only 20 minutes for the colorant to work. This kit also comes with a hydrating cream to give your hair a boost after coloring and prevent fizziness. The hydrating cream prevents the dye from damaging your hair and can really provide the pick-me-up your hair needs after multiple dyeing sessions. Many customers reported that the cream made their hair silkier and healthier than it was before they dyed it. If you’re on a budget, this hair dye is for you. 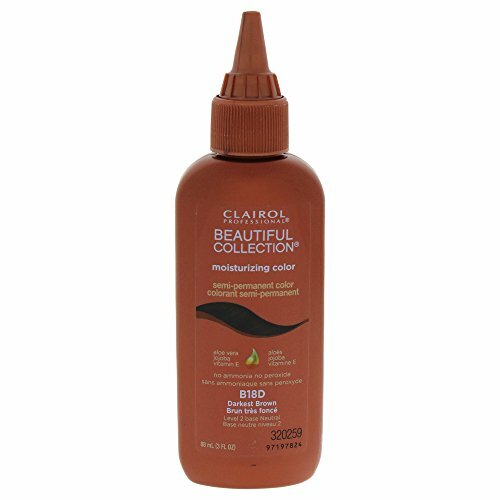 For those who are budget-conscious, Clairol Professional Beautiful Collection Semi-Permanent Hair Color is a wonderful option. This hair dye is specifically designed to hide grey hairs, but it can also be used for other purposes. It produces a natural look and rich tones, while also containing no ammonia. This hair dye does not last as long as other brands – only about six to eight shampoos. It does fade with each wash. It also does not include anything to condition your hair during or after use, so you might experience some drying and fraying if your dye your hair often. However, for the price, you really can’t beat it. If you’re just looking for something to cover grey hairs, this is a good option, but otherwise, you’ll probably be better off choosing a high-quality option that will last longer. Customers loved how easy this product was to you. However, many were disappointed with just how quickly it washed away. If you wash your hair every day, this color will only last a week or so. If you’re looking for something a little longer-lasting, you’ll get more bang for your buck by choosing our top pick. Of course, if you don’t need a colorant that lasts very long, you will likely be fine choosing this color. This semi-permanent hair color produces a vibrant red color. Looking to dye your hair red temporarily? Then you need to try Joico Color Intensity Semi-Permanent Hair Color 4 oz in red. While many of our other picks also have a red version, this hair dye creates a particularly bright, vibrant red color. Many customers absolutely loved the vivid, red shade this dye produces. The longer you let the coloring sit on your hair, the brighter and more vibrant the color will be. While most semi-permanent red hair dyes are notorious for being fast-fading, this one lasts a surprisingly long time without fading. It also does not bleed heavily like other formulas, and you can safely swim in a pool without worrying about dyeing everything red. This color does not require any mixing. Just slather it on your hair and follow the directions on the bottle. There is no need to purchase a developer or bleach your hair beforehand, though the color will stay vibrant longer on lighter hair colors. Unlike some formulas, this one is completely free of harsh chemicals, including ammonia. It will not damage your hair even if you leave it on for an extended period. In fact, it will even make your hair softer and healthier. Plus, it does not smell bad like many other formulas, and the scent does not linger. Perfect for those who want a natural-looking blonde color. 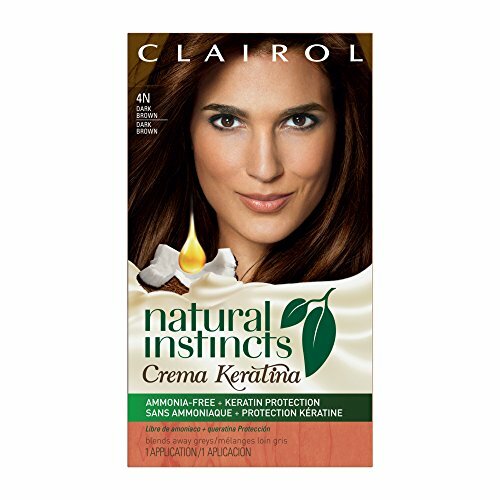 For a natural blonde color, Clairol Natural Instincts: 7 / 9N Coastal Dune Dark Blonde really can’t be beaten. This semi-permanent hair dye produces a natural looking color without lines or unsightly shades. It blends effortlessly, so you can combine it with other colors if you wish. Of course, you do have to remember that this lighter blond coloring will not work correctly on darker color hair. In some cases, bleach or multiple dyeing sessions might be necessary. Clairol Natural Instincts also has other shades of blond, which might work better for you depending on your hair color. This formula does not contain harsh chemical or dry out your hair so using it in multiple sessions should not cause excessive damage. Only natural ingredients are used, such as coconut oil, aloe, and vitamins. If your hair color is not light enough for the particular blonde you are using, your hair might end up turning red or developing a green tint. Luckily, this shade is one of the darker blonde they offer, so it should not produce an unsightly color unless your hair is a particularly dark color. Plus, this color lasts about 28 washes, so if you don’t like it, you aren’t stuck with it for forever. If it does produce an unsightly color, you can just wash it out, making it a great option for those who have never tired a blonde dye before. Semi-permanent hair dye lasts longer then temporary hair dye but not nearly as long as permanent hair dye. This makes it a good choice for those who just want to try something new or those who enjoy experimenting with different colors. If you’re planning on going on an extended trip or event and want to change your hair color for the occasion, semi-permanent hair dye is a suitable option. For these special events, you might also want to consider some curling irons. We also recommend semi-permanent hair dye for those who are skittish to try particular hair color. If you don’t like it, you aren’t stuck with it for very long. On the other hand, if you do like it, it’ll stay in your hair long enough for you to enjoy it. If you want to change your hair color permanently, this type of hair dye is not for you. Instead, you should purchase a permanent hair dye. Similarly, if you only want to change your hair color for a day or two, semi-permanent will have a longer duration than you need. Duration. While most semi-permanent hair dyes typically last about a month, there is quite a bit of variation. Some semi-permanent hair dyes are only designed to last a week, while others can last for a very long time. The length of time any semi-permanent hair dye lasts depends a lot on how often you wash your hair, but the quality of the product also plays a major role. Gentleness. You should choose a has as few harsh chemicals as possible. Ammonia and other chemicals can damage and dry out your hair, which is the last thing you want. Select a product that is as gentle as possible. Those with conditioning agents are often the best option, as they counter-act any damage that might be done to your hair in the coloring process. If you plan on coloring your hair often, this feature is especially important. Color. Not all hair dyes produce the same quality of color. Depending on what you’re aiming for, choosing a dye with a high-quality color can mean the difference between having blonde hair or yellow hair. Brighter colors, such as reds and blues, are particularly susceptible to dullness. No matter what color you choose, a semi-permanent hair dye will fade over time, so you should ensure that the color will also look good when it begins to fade. You might be okay with bright red hair, but what about peach or pink hair? Ease of use. Since you are likely going to be coloring your hair at home, it is important that the instructions are clear and easy to follow. The more confusing or complex the instructions, the more likely you are to mess something up, which is the last thing you want to do when your hair is involved. Bleeding. Semi-permanent hair dye does not reach the shaft of your hair. Instead, it only dyes the outer portion and covers your hair in a layer of color. Because of this, all semi-permanent hair dyes will bleed a little bit when your hair gets wet. However, some will bleed more than others. We recommend choosing one that bleeds as little as possible; it will prevent a mess and allow the color to last longer. What is semi-permanent hair color and how does it work? Semi-permanent hair color is a coloration agent for your hair that lasts longer than temporary color but shorter than permanent hair color. Unlike permanent color, semi-permanent hair color does not penetrate your hair’s shaft or directly dye your hair. Instead, it contains different sized particles that stick to the outside of each strand, giving the illusion that your hair is a different color. Basically, it is like paint for your hair. What is the difference between permanent and semi-permanent hair color? Permanent hair color directly dyes your hair shafts and causes your hair to become a different color. It directly changes your hair structure and causes your hair to truly become a different color. Many permanent hair colors contain oxidizers, which allow the formulas to lighten or darken your hair. This type of hair dye must also be mixed with a developer before use. Permanent hair color lasts for about eight weeks in most cases. Semi-permanent hair dye is not actually a “dye” at all. Instead of changing the underlying structure of your hair, it only coats your hair, which is why it is also called “hair gloss.” At most, semi-permanent hair color can only change the shade or tone of your hair. It does not contain an oxidizer, so it can not directly lighten or darken your hair. No mixing is required, and you can often change the amount of color you use to match the exact color you’re going for. Typically, semi-permanent hair color only lasts for a small number of shampoos. Does semi-permanent hair color wash out? Semi-permanent hair color does wash out, but it is not really designed to be washed out in one shampoo. (If that’s what you’re looking for, you probably want temporary hair color or a wig.) Instead, it slowly fades over about a dozen shampoos or so. Of course, each semi-permanent hair dye is different, so choose the one that lasts the length that best fits your needs. Is semi-permanent hair dye damaging? When formulated correctly, it should not be. Semi-permanent hair color only coats your hair and does not affect the strand itself, so it should not be damaging like some permanent colors can be. However, some semi-permanent hair dyes do contain harsh chemicals, which can harm your hair. If you’re worried about hair damage, choose something with a conditioner built-in like our top pick. We also looked at 20 other semi-permanent hair dyes. Even though these didn’t make our 5 best semi-permanent hair dye list, they’re the best of the rest, and each is still a great choice. The information you’ll need to compare each product is included in the listing. Adore’s shade 60, ‘Truly Red,’ offers a natural, yet enriched and vibrant hair color. Semi-permanent and with no bleach, ammonia, or alcohol, 100% of customers loved this product, particularly for its vibrancy. Wild Red is a shine-enhancing, semi-permanent hair color, and has a vegan formula. Customers reactions were split on this product, while most loved the product, some had difficulty achieving their desired results. Ion’s semi-permanent hair color contains no ammonia or peroxide and can be used on untreated hair for natural results, or bleached locks for a bold pop of color. Customers loved this product, and particularly enjoyed the results when mixed with conditioner. Kiss Express Color offers high shine results, with excellent grey coverage at an affordable price. While only a few customers have currently reviewed the product, all expressed satisfaction with their results. Made by a well-established indie brand, Unicorn Hair offers high-intensity color within a vegan formula. Customers loved that this product was ready to use from the container, as well as how silky and smooth this product left their hair. Made by a well-known indie brand, this semi-permanent color is vegan and cruelty-free, Pillarbox Red can be used on both treated and ‘virgin’ hair. Customers were impressed with how visible the color was when applied to dark hair. Made in the USA, SFX semi-permanent hair color lasts between 3-6 weeks. Shade ‘Candy Apple’ offers a more natural red, whereas shades ‘Nuclear Red’ and ‘Cherry Bomb’ offer bold results that glow under blacklight. Many customers found they achieved great results without having to bleach their hair beforehand, and also found a little of the product went a long way. This colorant contains no ammonia or peroxide and offers easy to remove, rinse out hair color. While this specific shade has not yet be reviewed by customers, many buyers love the other shades available from Adore. Including a host of nourishing products, such as coconut oil, argan oil, as well as including honey and beeswax, this semi-permanent colorant, offers long-lasting results whilst still being gentle to hair. Some customers did find difficulties with getting the color to take, but many loved their results. This product will last between 6-12 washes, dependent on hair type, and with no ammonia or peroxide, this colorant is as gentle to hair as a shampoo. Customers found this product could be temperamental, with some achieving great results, others with less success. Chemical free and providing natural results, this hair color covers greys and lasts up to 10 washes. Customers were pleased to find this product available on Amazon, as it is of high quality, but can prove tricky to find. Ammonia-free, this product comes in a convenient tube. Salerm Color Soft effectively covers grey hairs, whilst protecting and nourishing hair. Customers loved this product as an alternative to permanent hair colors. This product offers the perfect touch-up to dyed hair or greying locks. Containing argan oil and silk proteins, this colorant also offers nourishment to hair. Customers loved how it seamlessly blended into their hair for a natural outcome. Comprised of a botanical blend of ingredients designed to nourish and care for hair, it is also enriched with minerals. Customers were impressed with how this product looked after their hair, and how easy it was to apply. This semi-permanent hair color contains no alcohol, peroxide, or ammonia; it is affordable and also comes in a large range of colors. Customers loved how this product made their hair look and feel and found Adore products preferable to other name brands. Made in the USA, and able to be used on bleached and unbleached hair, this colorant is vegan, cruelty-free, gluten-free, and with no harsh chemicals. Customers overall loved this product but did find better results were achieved with lighter hair. This product is made in the USA, it is vegan and cruelty-free, and contains no harsh or irritating chemicals, and also contains coconut oil to help nourish hair. Customers loved the intensity of color this product gave their hair, as well as the positive comments they received from friends and family. This colorant comes from a well-known brand and is designed to give brunettes and pop of color. With a vegan formula and containing no harsh chemicals, customers loved the reliability of the product, which gave them highly satisfying results time and time again. This colorant is not only an eco-friendly formula, but also comes in eco-friendly packaging, and 95% of Splat Naturals ingredients are completely natural, as well as containing no harsh chemicals. This product is currently unreviewed so would be perfect for customers looking to try something new! Vegetal Safe Color uses herbal ingredients and is organic as well as PPD and ammonia free. Customers loved the long-lasting natural results this product offered.